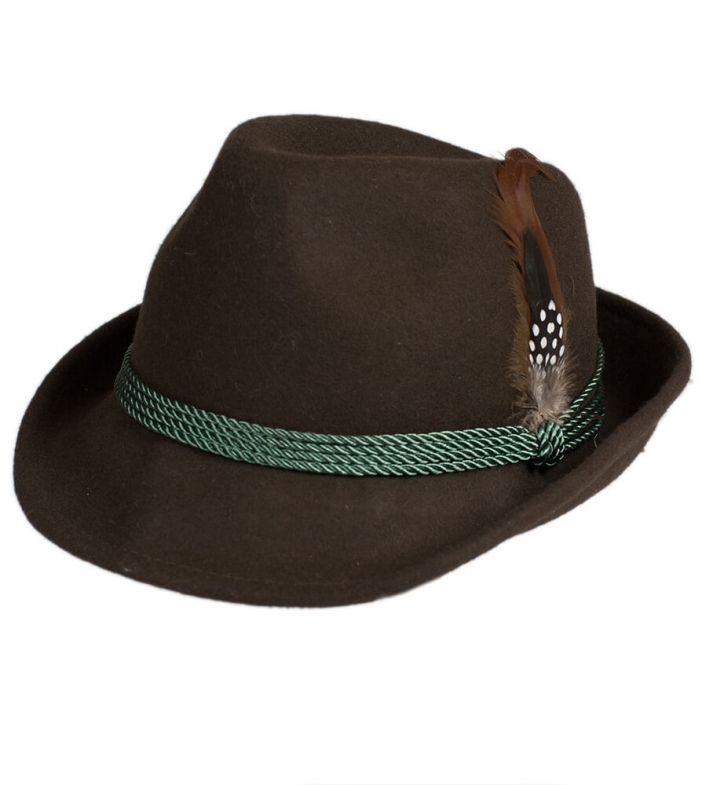 Traditional costume hat with feather in brown. Made from 100% wool for a supremely comfortable fit, this brown costume hat features a stylish brim and four cords that circle the peak and hold the feather in place. This hat will look fabulous paired with a dirndl-dress.